Rheolution is a Canadian society specialized in viscoelastic characterization of (bio)materials, using a non-destrutive, contactless and cost-effective method. 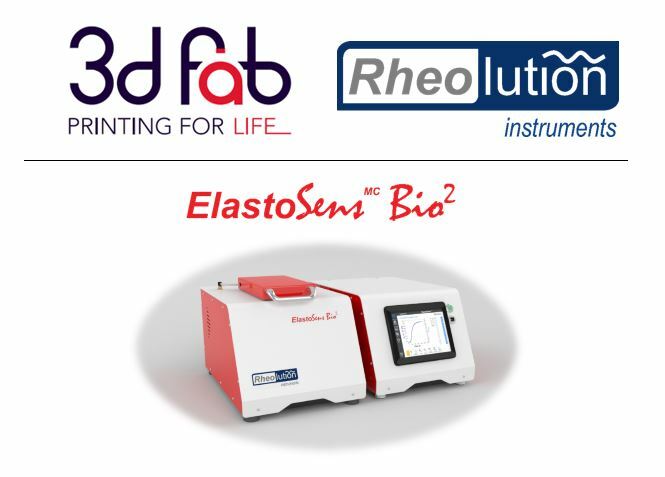 Starting in September 2018, the ElastoSensTM Bio² mechanical tester (http://www.rheolution.com/elastosens-bio2.html) will be at 3d.FAB in order to understand the rheological properties progression of 3d printed (bio)objects. An exclusive opportunity for our network to test the capability of ElastoSensTM Bio² to take on their challenges. For more information, please contact Edwin-Joffrey Courtial. Our latest paper about 4D printing here.